At mélange we offer beautiful, quality clothing, that is a little different from the high street. Exclusive, quality collections, affordable and wearable, with just the right amount of fashion detail for the discerning woman of today. We have sourced the best fitting and stylish jeans and trousers so you don’t have to! We stock world famous brands that have spent years in research and development perfecting the trouser shape that will fit women of any age and shape, and we carry trouser styles for every occasion from formal tailored slacks to casual jeans. Women are certainly wearing the trousers – we have your perfect fit, and we offer a free shortening service. We can help you find the top to complement your fitted trousers, we have sumptuous knitwear, quirky, must-have shirts and blouses as well as great casual tops. mélange also caters for the classic lady who is looking for some essential yet timeless pieces. There is everything you need from a day time event to through to cocktail hour. To complement your outfit, mélange stocks fabulous accessories, hats and fascinators, great belts, unusual costume jewellery, and lovely wraps scarves and gloves. These make ideal gifts or simply a nice addition to your new outfit! 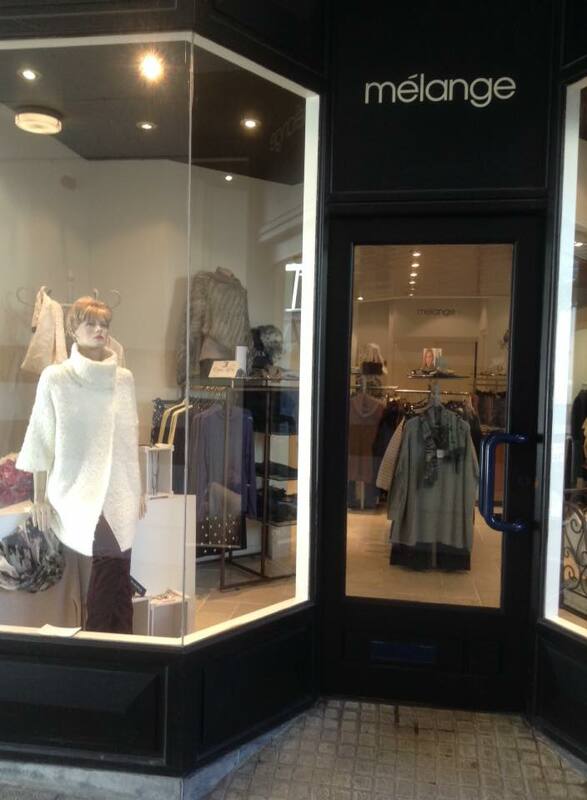 You don’t need to travel out of Cornwall to find high quality, beautiful and original designer clothes. Pop into our shop in Nalder’s Court in Truro, Cornwall and our welcoming and knowledgeable staff will guide you and ensure that your shopping experience is an enjoyable one.